Now in its second year of an innovative collaboration, Charity Navigator is publishing impact information prepared by charities and gathered by one of four partners: GuideStar, Classy, GlobalGiving, and 2018 new project partner, ImpactMatters. This collaboration means information from GuideStar's Platinum and Gold Seals of Transparency, Classy's "Progress" Framework, GlobalGiving "GG Rewards" and ImpactMatters' Impact Reports will be displayed on the charity rating pages on our site. In addition, Charity Navigator will be adding these partner ratings for 12,000 charities that are not rated beginning in November 2018. While the addition of this third-party information won't affect a charity's rating on our site, it does signal the importance of sharing impact-related information as the next phase of accountability and transparency for public charities. 'Impact-related information' refers to data collected by GuideStar, Classy, GlobalGiving, and ImpactMatters with respect to a charity's specific impact measurements. These three partners collect information on organizations' results and progress toward achieving their goals. Charity Navigator is collaborating with GuideStar, Classy, GlobalGiving, and ImpactMatters to display impact-related information. Each of these partners has supplied us with the impact-related information they receive directly from nonprofits to display on our site. The links to access each partner's website are provided here: GuideStar, Classy, GlobalGiving, and ImpactMatters. For Giving Season 2018, Charity Navigator will have approximately 2,200 rated and 12,300 charities that are not rated that display impact-related information. We expect this number to grow over time. We encourage donors to read the impact-related information when deciding to donate to a charity. It is an important element to be taken into account but should be considered along with the financial and accountability and transparency metrics. You can start a search for all charities that have provided Impact Information to one of our partners and then further restrict based on keyword, category, cause, rating, or state. Charity Navigator has added a 'Request impact-related information' feature to every rated charity's profile for which we do not have additional data. This features allows you indicate your interest in Impact Information for that charity. Please note that this is simply a request and the charity will not be notified. Charity Navigator is collaborating with GuideStar, Classy, GlobalGiving, and ImpactMatters to advance the discussion of impact measurement among nonprofit organizations while minimizing the burden on you, the nonprofits. This partnership allows Charity Navigator's users to access impact-related information that you've provided about your organization through various platforms. Charity Navigator wants to be able to display as much impact-related information as possible. By partnering with GuideStar, Classy, GlobalGiving, and ImpactMatters, users will be able to see a variety of impact-related information for over 14,000 charities. Your impact-related information will be displayed on your Charity Navigator rating profile page starting on November 28th (GivingTuesday). We plan to update this information monthly on the 1st of the month and will continue to measure donor engagement with this data through at least early 2019 without immediate plans to remove it. This is a collaborative project with GuideStar, Classy, GlobalGiving, and ImpactMatters. Each of these partners has supplied us with the impact-related information they receive directly from nonprofits to display on our site. Updates to this information must be made on our partner's websites. The links to access each partner's website are provided here: GuideStar, Classy, GlobalGiving, and ImpactMatters. We plan to update this information on our site on the 1st of each month with data submitted to partners by the 15th of the prior month. We encourage all charities to review the three partners' websites before choosing which to complete. The links to access each partner's website are provided here: GuideStar, Classy, GlobalGiving, and ImpactMatters. Currently, Charity Navigator only displays one source of impact-related information on each charity page. By the end of 2018, We are looking to rotate which data displays when charities have provided data to multiple partners. This would select one of the data sources for that charity at random to display each time a user loads the page. All questions about the impact-related information on your rating page should be directed to the source for the information, which is either GuideStar, Classy, GlobalGiving, or ImpactMatters. If you have data from either your GuideStar Gold or Platinum Seal of Transparency published to your rating page, please contact GuideStar. They will provide you all the information you need to update or claim your Nonprofit Profile. To learn how to update your Nonprofit Profile, please click here. If you have a portion of your Classy Progress framework published to your rating page, please contact Classy. Classy will provide you with all the information you need to update your Progress framework submission. To contact them, please click here. If you are a member of GlobalGiving, your GG Rewards Status and badges will be published to your rating page. You can visit your GG Rewards dashboard on GlobalGiving, or visit this FAQ page for more information. If you have other questions, you can reach out to GlobalGiving here. This collaboration will not change your rating on Charity Navigator. It simply gives you an opportunity to show donors the value of your work and to help them assess the impact of their donations. For Giving Tuesday 2018, we will be adding the Impact Information section to charities we do not currently rate. Charities that participate with the partners will have their data displayed automatically, you don't have to do anything. The 'request impact-related information' button allows donors to encourage the charities they love to make their impact-related data available on Charity Navigator. Please see the above FAQs for information on how to make this information available on your organization's profile page. GuideStar, www.guidestar.org, helps people make better decisions about nonprofits and the work they do. Each year, more than 10 million donors, nonprofit leaders, grantmakers, government officials, academic researchers, and journalists use GuideStar data to make intelligent decisions about the social sector. GuideStar maintains profiles on 2.7 million currently and formerly IRS-recognized nonprofits. The profiles are populated with information from the IRS, directly from nonprofits, and via other partners in the nonprofit sector. In addition, users see GuideStar data on more than 200 philanthropic websites and applications. GuideStar is itself a 501(c)(3) public charity. 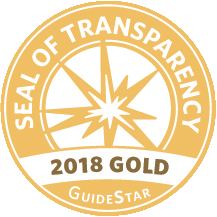 GuideStar's Gold Seal of Transparency is earned by providing qualitative information about how the organization aims to achieve its goals. These questions are from Charting Impact, an initiative of the BBB Wise Giving Alliance, Independent Sector, and GuideStar to develop a common format for nonprofits to report on their effectiveness. Encouraging people to invest their money, time, and attention in effective organizations. Helping organizations highlight the difference they make. Positioning their organization to work with and learn from other organizations. Helping your organization sharpen their approaches to making a difference. Learn how to earn the Gold Seal of Transparency. 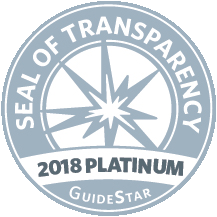 GuideStar's Platinum Seal of Transparency is earned by reporting metrics that show the progress an organization is making toward its mission. Platinum can be earned by selecting a metric through the Common Results Catalog (a selection of more than 900 expert recognized metrics) or by creating a custom metric through the self-guided interface. This data is provided directly by nonprofits to GuideStar via their Nonprofit Profile. Learn how to earn the Platinum Seal of Transparency. Superstars are vetted organizations that have demonstrated high engagement and/or effectiveness over the past year. They have earned Engagement points by writing on-time project reports, and thanking GlobalGiving donors, and/or they have earned Effectiveness points by listening to feedback from community members, acting on that information, and demonstrating how they've learned from their actions. Superstars are most likely to be recommended to corporate partners and are eligible for special matching campaigns and training programs. Leaders are vetted organizations that have demonstrated active engagement and/or effectiveness over the past year. They have earned Engagement points by writing on-time project reports, and thanking GlobalGiving donors, and/or they have earned Effectiveness points by listening to feedback from community members, acting on that information, and demonstrating how they've learned from their actions. In addition to the benefits that are available to Partner organizations, Leaders are more likely to be recommended to a corporate partner, are eligible for special matching campaigns and training programs. Partner organizations have been vetted by GlobalGiving and are in good standing. 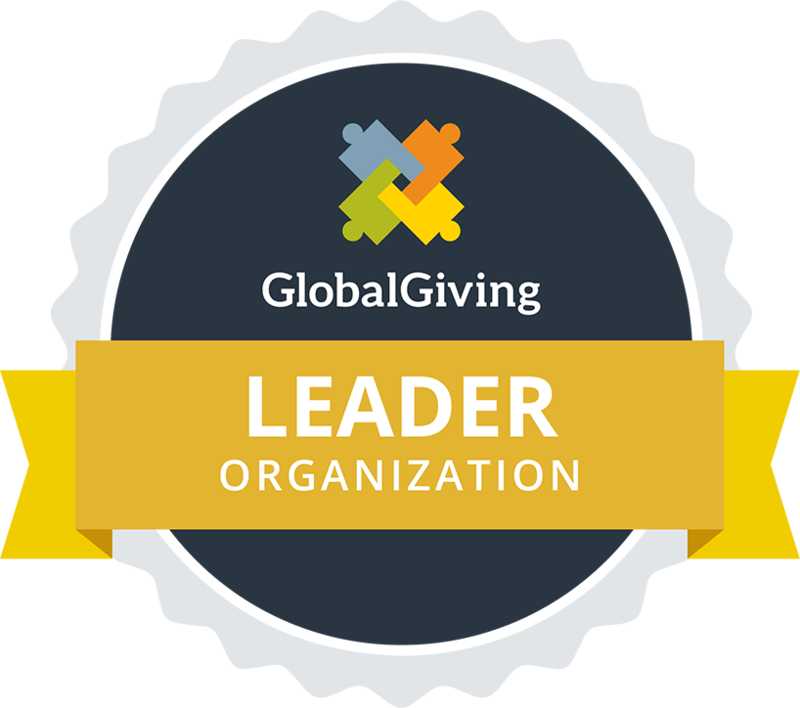 As Partners, these organizations have access to GlobalGiving's tools, training, and support. Classy is a social enterprise that creates world-class online fundraising tools for nonprofits, modernizing the giving experience to accelerate social impact around the world. Based in San Diego, CA, Classy is trusted by organizations of all sizes, from the fastest-growing nonprofits like Team Rubicon and The Trevor Project to some of the world's largest social organizations such as Acumen Fund, Robin Hood Foundation, and Shriners Hospital for Children. Classy created the Annual Classy Awards to recognize the innovative work of nonprofits around the world. Since 2009, thousands of organizations have been recognized through the Classy Awards. Nominees complete a data-driven framework that helps them to understand and articulate the impact of their programs. Classy Framework: Provides a 360-degree, data-driven perspective of a program's social performance by combining qualitative insights on program strategies and beneficiaries, with quantitative metrics on social problems, short term outputs and long term intended outcomes. Problem metrics and contributing factors. Theory of Change, strategy and evidence base. Operations, including activities, budget, technologies and partnerships. Learning, course correction and growth. If you have any questions about the framework you can learn more here. ImpactMatters connects donors seeking high impact with nonprofits that actually deliver high impact, helping both groups achieve their mission. Toward that goal, ImpactMatters helps nonprofits and their donors calculate and report cost-effectiveness: the dollar cost of achieving their social outcomes. Calculating cost-effectiveness is key to effective giving. ImpactMatters offers two services to nonprofits and their funders: guided impact reporting and impact audits. Guided Impact Reporting (GIR) is a free and simple-to-use app hosted on the ImpactMatters website. It takes the nonprofit's data through a tightly scripted series of questions to generate an estimate of cost-effectiveness: the dollar cost of achieving the nonprofit's mission-driven outcomes (for example, $5,000 to save a life). GIR's design generates reliable estimates. The tight steps require the nonprofit to grapple with calculations that many otherwise overlook: what success would participants achieve had they not received the nonprofit's help (so-called counterfactual successes); how does the nonprofit's intervention affect non-participating third parties (so-called externalities). Learn more about Guided Impact Reporting. Impact Audits: ImpactMatters conducts impact audits, short-term engagements during which an ImpactMatters audit team generates an independent estimate of the auditee's cost-effectiveness (the cost of achieving the nonprofit's social outcomes). The impact audit is based on the nonprofit's internal data and on findings from the research literature on comparable interventions. The impact audit also grades the quality of the data used to produce the quantitative estimates, reflecting the confidence that the audit team has in its estimates. Learn more about impact audits.